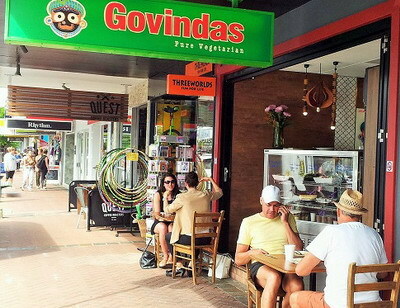 Govinda's is Hari Krishna at its core, with the typical vegetarian ethos and peaceful vibe, but it operates like any other modern café on the strip. Just beware that they have no technology, so it's cash only. There is not a saffron robe in sight, but the staff look extremely happy, healthy and content, and that calmness flows through the entire café. 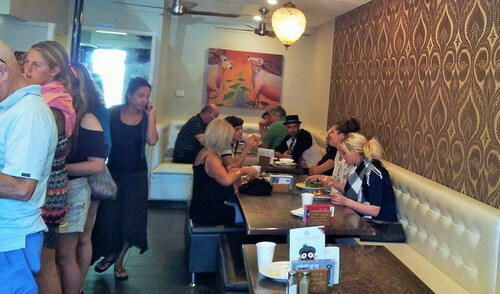 It is a peaceful little haven, but if you're willing to share a table, you can meet some very interesting people. Choose from Indian-inspired samosas, pakoras and kofta balls; fragrantly spiced and creamy vege bakes with potato, eggplant or lasagne; pale yellow basmati rice, dhal, and rich chutney; creamy cheesecake dessert, sago puddings, chocolate mousse, or cupcakes. Tantalising, delicious and satisfying. Good for the heart and soul. All dishes are displayed in glass cabinets, and the kitchen staff are constantly making more, so it's as simple as point and pay. 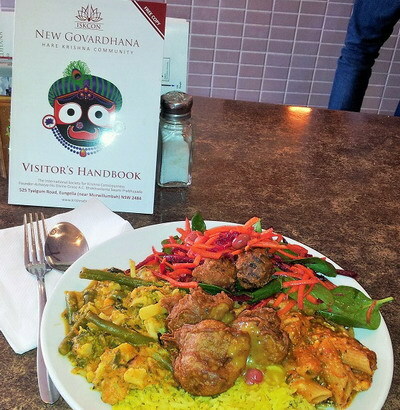 To go for a small or large plate, and how many dishes you would like. I find that the $12 medium plate of rice with a choice of 3 other dishes is a perfect size for lunchtime. It's nutritionally complete as well, especially when I choose 2 hot dishes and a salad to go with the rice. 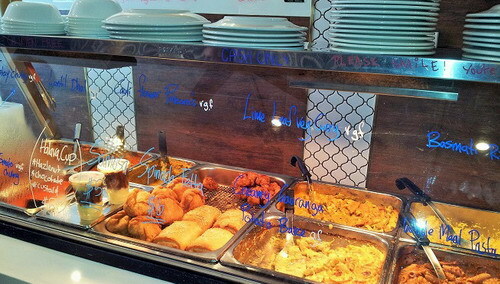 Additional items such as samosas, savoury filo pastries and kofta balls can be an extra $5 or so. 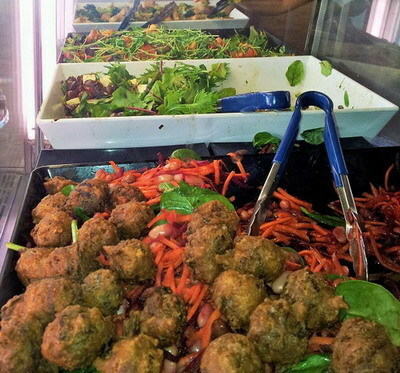 To avoid paying extra, I recommend including the kofta ball & beetroot salad in the $12 plate deal. It's a chilled dish, but I think it provides a good balance to the hot dishes. The food is so satisfying and so filling, that only the heartiest of appetites could fit anything more into their contented bellies. I keep promising myself that one day I will skip the meal and go straight to dessert, and maybe even try their mango, coconut and yogurt lassi drink. 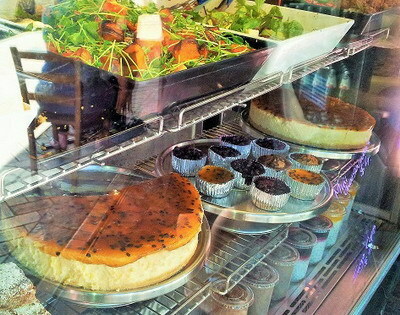 But until then, I will pass the front display case with a sigh, leaving the baked cheesecake, chocolate mousse and sago cups for someone else. Be aware that they operate on a CASH only basis, but will write a receipt if you need a tax invoice. They do not have EFTPOS or credit card facilities. There is a Commonwealth Bank with ATMs a little further up the street towards Connor St, at Woolworths out the back, and at Foodworks in West Street. Must visit this restaurant very soon, food looks yummy.